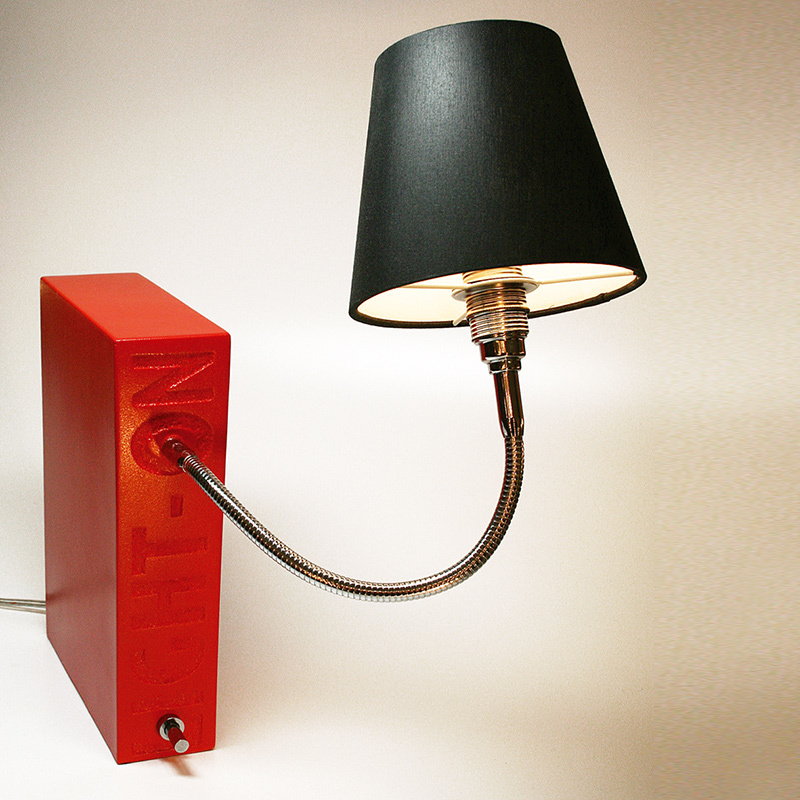 Two different functions includes the Light On Shelf Lamp by Top Light. In addition to being light, it serves as a convenient bookend. The shape and weight (4.5 kg) of the massive, square-shaped body that guarantee stability, your furniture is protected by a felt bottom of the lamp from knocks. Even the look of the light between the books on your shelf adds a harmonious. The light intensity can be adjusted with the integrated dimmer continuously according to your wishes. The lamp head can bring about the flexible arm as required in the respective desired position. Also your wishes regarding color and design can be individually meet with the Light On shelf light. The carcass is available in five different colors. When the light head, you have the choice between four variants.